So you’ve chosen the college you want to go to and now have to find out how to fund your education. There are many philanthropic organizations that want to make it easy for deserving students to get the education they want. Your own government may offer scholarships to you as well. Note that not every college grant may be the best for you. One grant may cover just the tuition while another may cover a part of the tuition. Yet others can cover all your travel, health and living expenses as well. You have to look for a scholarship based on your needs. Also, there may be a grant you really want and need but don’t get because you messed up in the application process. There are many ways you could knowingly or unwittingly mess up your college grant application. I’m here to help you avoid some of the common college grant application errors with some advice. There are also things you can do better to find the right grant for you. You may not realize that your interests and hobbies – extracurricular activities that you’re good at – could help you pay for college. Many college opportunities are extended to students who are gamers, great at crafting, good at gardening, avid trekkers, and more. I’ve known students who made it to college because they were interested in fencing, birdwatching, and even crosswords! While opportunities are usually merit-based, grants are need-based. So keep this in mind and search for hobby-based college grants near you. Many students aren’t sure at what stage during the college application process they can begin to apply for grants. The answer is, you can do so as early as a year before college begins. You don’t even have to wait until you’ve made up your mind about which college to finally apply to. If you don’t start thinking about your college grants early enough, you could end up missing some deadlines. You don’t want to narrow down the choices available to you. If you’ve made up your mind to go to college, start looking into grants right now. Also, don’t worry too much if you’ve missed some deadlines. There are many grants out there, all with various deadlines. Some deadlines are typically in January or February, into the Spring semester. Others may be in August or later, before the Fall semester. When you’re paying for something as expensive as education, any little help you can get counts. Don’t ignore smaller scholarships that pay $500 or less. These could go towards your supplies and textbooks. There’s no rule that says you have to make do with only one scholarship. You could be restricted to only one per scholarship administrator. But you can fund your education with a bouquet of smaller scholarships won from various administrators. Of course, you can apply for more than one grant too. Always present your qualifications, grades, and memberships exactly as they are, without any exaggeration. Grant admins are more likely to award you the funds you need if you apply for the ones that fit well with your skills and interests. Also, be honest in your grant essay. Not all grant administrators require an essay, but many do. When you apply for your college grant, you’ll probably be asked to write a few hundred words about your college goals and why you think you deserve the grant. Be honest here too. Instead of trying to portray yourself as a perfect candidate, you’ll be better off being the imperfect candidate willing to learn from mistakes and adversity. Many students think that once they have already applied for and received a grant for the first year of college, that’s all they have access to. The truth is, you can apply for a grant every year that you’re in college. In fact, half The grants available are for students who are already enrolled in a program and have completed around two semesters. When you’re looking at several grants at the same time, you will need to be extra careful that you don’t miss the details of any instructions. Check which grant needs an essay, which one needs a letter of recommendation. Always make sure to proofread your essay and other writing for typos. Make sure all the documents required have been attached. A couple of typos in a three-hundred-word essay could send a grant that was nearly-yours to someone else who has paid more attention to detail. It is common for students to get so caught up in the application process before college that they end up missing some deadlines. You’ll do yourself no service by sending in a grant application past the deadline. Some grant admins will specifically mention that they don’t accept applications past deadlines. But this doesn’t mean that others do. You could easily be disqualified for being too late unless you have a really good reason for being so. In order to avoid any last-minute hiccups, I highly recommend that you start looking into the grant application process a year and a half before college starts. Don’t forget that some applications cannot be emailed. You’ll have to mail physical copies, that could take a day or two to reach. Also, to make sure your mail will be safe, use certified mail. If you need any help with grant applications, you’ll usually have your school counselor to turn to for advice. But they may not be aware of all the options open to you. Keep your eyes and ears peeled at your church or at your job for news of grants. 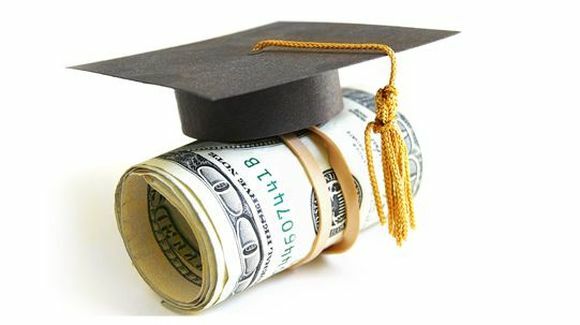 Your parents may also be employed at organizations that fund education for family members. The bottom line is: do your research well in advance. You’ll spend less time worrying about deadlines and more time preparing a convincing, winning set of documents for the grant authorities.